The guide below outlines the types of boilers available, and the one most suited to your needs. 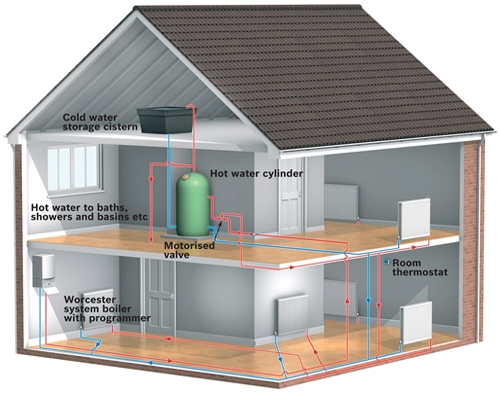 The guide below will help you choose the right system for your install. 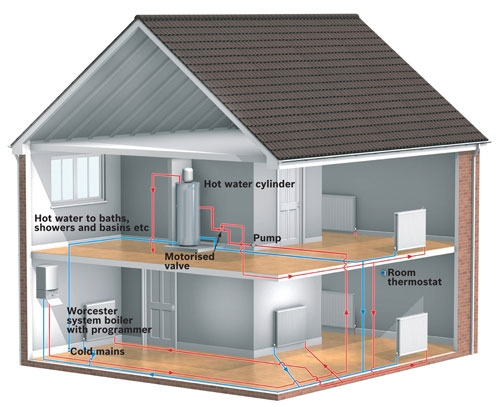 Regular boilers heat your central heating system directly and produce hot water for your cylinder. 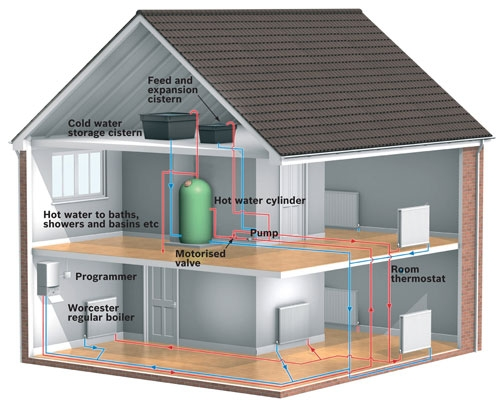 A typical regular boiler system incorporates a boiler, extended controls, a hot water cylinder which is often fed by a cold water storage cistern located in the loft and a feed and expansion cistern - also located in the loft.